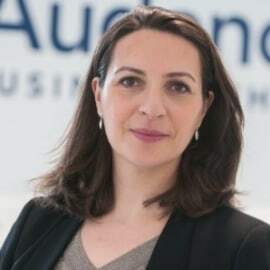 Isabelle Fagnot is Director Quality, Accreditation & Rankings and Full Professor of Management of Information Systems at Audencia Business School. She received her Ph.D. from the School of Information Studies of Syracuse University and researches behavioral issues of managing Information Systems related to organizational security, quality assurance and the culture of the information profession. Isabelle’s research is regularly disseminated in journal publications, conference presentations and invited lectures. Isabelle has extensive experience in Quality Assurance – she has led initial and maintenance accreditation processes in Triple Crown schools.